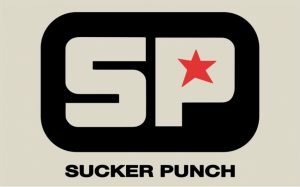 New Sucker Punch Game is Rumored to be New IP | Nerd Much? The new Sucker Punch game that has long been in development for the PS4 is rumored to be a new IP. As with any rumor, take this with a grain of salt. The announcement comes from NeoGAF user Shinobi602. In a thread discussing the cancellation of Hideki Kamiya’s Scalebound, Shinobi602 offhandedly revealed that Sucker Punch was working hard on a new IP. This was revealed alongside what other developers are currently working on. The studio is known for keeping information locked up unless they release it themselves. If this rumor of a new Sucker Punch game is true, this would mark the first bit of information since Sony President Shuhei Yoshida mentioned his excitement prior to E3 2015. Before the upcoming Spider-Man game was revealed to be the work of Insomniac, the game was heavily rumored to be developed by Sucker Punch. We imagine the game they’ve actually been working on will be revealed during E3 2017. You could expect a release between 2017 and 2018. The last game the studio developed was inFAMOUS First Light which was a standalone expansion to Second Son. This game was released back in 2014, so it is about time for something new. We’ll be crossing our fingers for something great, what do you think it could be? Let us know in the comments below!